We wanted a kind draw. We knew if we got a game at home it would have been against one of the big hitters in round one so an away day was the likely outcome. We could not have asked for much better than a trip to the Gaelic Grounds to take on Limerick, the scene of one of the most infamous All Ireland semifinal replays, between Mayo and Kerry in 2014 and last year's escape against Cork. There was a time when such a draw might have raised eyebrows, but Limerick football has been on the slide in the last number of years so it should be a fairly straightforward affair. For the record, Limerick finished third from bottom in this year's division four accumulating only three points in the process. A one point win against Waterford and a draw with London was all they had to show for their troubles. In this year's Munster championship Clare defeated them by 1-22 to 0-14, an 11 point loss. Without being dismissive or disrespectful this is the match up Mayo need to get the wheels back on the wagon. As the draw was nearing to a close live on Radio One, and with Mayo still not out of the bowl, I was fearful of getting drawn away to Armagh seeing Tyrone and Cavan were already out of the way. Not that I would fear Armagh, but it would be a far trickier mountain to climb than the one we now face. The game has been confirmed for Saturday, June 9, at 6pm in Limerick. Take note, it will not be on TV so if you want to see it you have to go. Nothing beats being there. There was a proper GAA feast on last weekend with some of the strangest results occurring in the Leinster championship. Three teams from lower divisions defeating three hotly fancied opponents all in one day was quite staggering. Carlow’s dismantling of Kildare was the stand out result and must certainly have the writing on the wall for Cian O'Neill after what can only be described as the most horrendous run of results where the Lilywhites have lost 12 games in a row dating back to last year's Leinster final. I have worked at some games over the years involving Carlow and they have some really decent players and a manager who obviously loves his job and his players. Turlough O’Brien's passion is infectious. Not to be outdone, Longford under Denis Connerton accounted for the once mighty Meath to set up a nightmare semifinal for them against the all conquering Dubs. You can be sure they would not have it any other way and will relish the chance to pit themselves against the best team in the country. It is a real worry for the standard of football in Leinster that two teams which started 2018 in division four of this year's league, Laois and Carlow, will contest the other semifinal. Meath's prize for losing to Longford is the daunting prospect of taking on a very wounded Tyrone in their round one qualifier. As expected Roscommon navigated their way to the Connacht final with a facile victory over Leitrim in Carrick on Shannon. I was of the opinion that the Rossies might have wanted to just stumble over the line against Leitrim so as to not raise expectations for their impending final against either Sligo or Galway. But the reality is when you have a group of players jostling for places to be in the starting 15 or in the match day 26, taking your foot off the gas is simply not an option. Amazingly Roscommon failed to breach the Leitrim rearguard for a green flag but still registered a very healthy 24 points to win by 14 at the end. 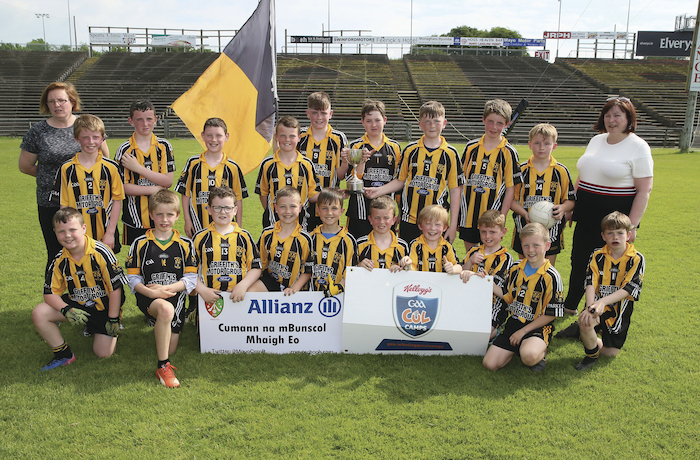 Diarmuid Murtagh and Cathal Cregg combined for nine points between them, but what must have impressed Kevin McStay the most is that his team had 12 different scorers on the day. Are Cork ready to pop? Cork obviously sucked up all the criticism directed towards them and turned it into a performance as they blitzed a well fancied Tipperary in Semple Stadium. Luke Connolly, the Nemo Rangers full forward, helping himself to 10 points. Cork have been staying quiet while most people, including myself, were talking up Tipperary. It was a proper ambush that no one saw coming. Apart from winning the game by 10 points, Cork held the much feared Tipp full forward line to two points from play for the day. Not many teams have achieved that feat in a while. Noteworthy personal feats for last weekend, apart from Connolly's 10 point haul for Cork, were Ciaran Kilkenny's 1-7 from play for Dublin against Wicklow and Laois Paul Kingston helping himself to 3-02 against Westmeath. The big disappointment for everyone was the fact that no football game was shown live on TV. I will be in Pearse Stadium on Sunday running my eye over Sligo and Galway for Radio One. I do not expect any such upset up there. Page generated in 0.0961 seconds.